What does fraternity life and pain medication have in common? No…get your mind out of the gutter! I am not referring to college students taking drugs! What I am referring to is the Greek letters mu, kappa and sigma. These Greek letters are the commonly used and discussed opioid receptor subtypes. Notably, in veterinary medicine, the mu and kappa receptors are commonly targeted as these are responsible for sedation and analgesia. Sigma receptors are less commonly targeted as they are thought to be responsible for the adverse effects of opioid administration including excitement, restlessness, dysphoria, and anxiety. If we dive into these drug classes a little more, we can review several examples of opioids the VETgirl team loves using (in veterinary practice - again, get your mind our of the gutter)! Is this an exhaustive list? Of course not! For a more in depth review you will have to watch our VETgirl webinar, but this is a good start! 1) Pure Agonists: Fentanyl citrate is an example of a potent synthetic opioid and a pure mu agonist. 2) Partial Agonist: Buprenorphine (Buprenex®) is an example of a partial mu agonist. 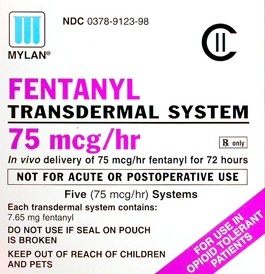 This medication often has a longer duration of action than pure mu agonists (such as fentanyl or morphine) due to the slow dissociation from the mu receptors. VETgirl loves the long-acting formulation (for subcutaneous administration every 24 hours X 3 days) in our feline urethral obstruction cases. 3) Agonist-Antagonists: Butorphanol tartrate (Torbugesic®) is a an example of a kappa agonist and a mu antagonist. 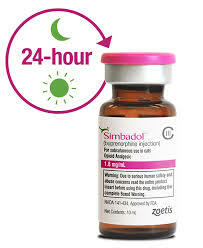 While it's a very weak opioid, it's one that the VETgirl team loves for sedation of blocked cats. 4) Pure Antagonists: Last but not least, there are pure ANTAGONISTS, such as naloxone. Naloxone works by blocking the mu opioid receptor, and is used to reverse the effects of opioids. So - next time your patient needs an (analgesic) fix…remember the joy of opioids and reminsce about those amazing days of college Greek Life!